It is certainly the era of Mobile App Development. And, your business can never survive without a foolproof plan of developing business-centric mobile applications. Talking particularly about the development process, every company is in a race with other to develop the apps faster than its counterparts. And, the strategy that is helping these firms in creating success is “Rapid Mobile App Development Tools”. All thanks to these innovative “Rapid Mobile App Development Tools” that developers are able to create user-centric and feature rich apps. In the past few years, there is a continuous buzz about the innovative methods of developing apps. The buzz is there for a reason. And, the reason is rapid app development tools. As the name suggests, the tools help in the rapid development of applications. Rapid mobile app development tools are also known as low-code or no-code software development. The technique uses virtual interfaces as a result of which users can drag a symbol in the development environment, use the same in the specific ways and can create the application even without having the proper coding knowledge with the user. This makes it easy even for non-coders to indulge in app development procedures. Since the code of rapid application development is generated automatically, the bugs related issue due to prototyping are reduced to minimal. Additionally, visual interface can be utilized by developers to open app-creation in order to do the necessary changes. This way, the non-technical users can also take an active part in application development. For a non-technical user, it is important to know that there are vast differences as well as similarities among the tools of rapid app development and that of simple app development process. As a whole, every tool in rapid app development has some specific featuress that make it easy to utilize the resource in the best way possible. Another important point to keep into the mind is manipulating the screen icons to develop a completely new app. Having a number of other benefits, rapid mobile app development is growing popularly among enterprises. 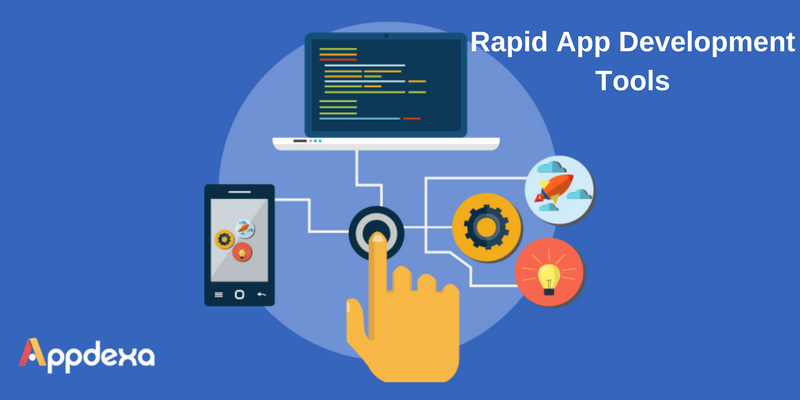 A number of organizations are giving much emphasis on the regular utilization of rapid app development. This kind of mobile app development approach can be the best solution for companies and this is of course going to be affordable enough for companies. Rapid mobile app development tools have been analysed to offer better software results in a shorter time span. The process allows businesses to achieve improved ROI in an effortless manner; thus, helping the companies in the overall development. The recent popularity of this kind of app development approach is gaining huge response from developers also.